The Dubai Ports World controversy began in February 2006 and rose to prominence as a national security debate in the United States. At issue was the sale of port management businesses in six major U.S. seaports to a company based in the United Arab Emirates (UAE), and whether such a sale would compromise port security. The controversy pertained to management contracts of six major United States ports. 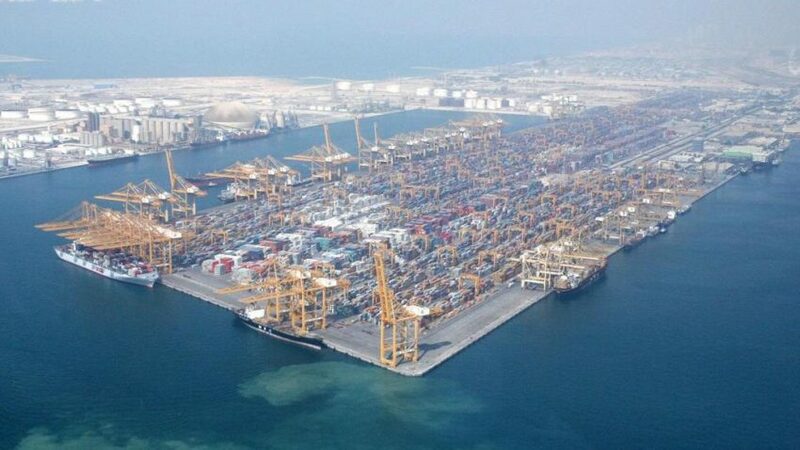 The purchaser was DP World (DPW), a state-owned company in the UAE. The contracts had already been foreign-owned, by Peninsular and Oriental Steam Navigation Company (P&O), a British firm taken over by DPW (completed in March 2006). Although the sale was approved by the executive branch of the United States Government, various United States political figures argued that the takeover would compromise U.S. port security. U.S. President George Bush argued vigorously for the approval of the deal, claiming that the delay sends the wrong message to U.S. allies. Legislation was introduced to the United States Congress to delay the sale. DP World is a company owned by the government of Dubai in the United Arab Emirates, via a holding company. This holding company is under the direct control of the ruler of Dubai, Sheikh Mohammed bin Rashid Al Maktoum, who is also the prime minister of the UAE. In mid-October 2005, DP World approached the Committee on Foreign Investment in the United States (CFIUS) to clear regulatory hurdles for a possible acquisition of the British firm P&O. The CFIUS is the multi-agency federal panel that passes judgment on deals with foreign corporations that raise antitrust or national security questions, Soon after, DPW began negotiating the terms of the takeover with P&O. They were advised by former President Bill Clinton to submit to a 45-day review of the acquisition. In December 2005, Coast Guard intelligence officials raised the possibility of significant security risks associated with the management of some U.S. port operations by a Dubai company, stating in a report that broad intelligence gaps prevented them from assessing the risks. In February 2006, the stockholders of the Peninsular and Oriental Steam Navigation Company (P&O), a British firm, agreed to a sale of that company to DPW over a bid by PSA International of Singapore. As part of the sale, DPW would assume the leases of P&O to manage major U.S. facilities at the Port of New York and New Jersey, Port of Philadelphia, Port of Baltimore, Port of New Orleans, and the Port of Miami, as well as operations in 16 other ports. After P&O stockholders approved the deal, the arrangement was reviewed by the CFIUS headed by the U.S. Treasury Department. The transfer of leases was approved.